Did negligent security contribute to this horrific apartment shooting? 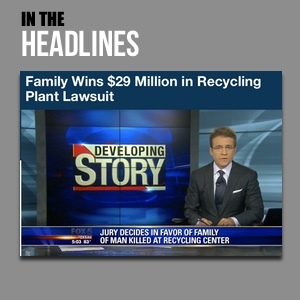 Read Our Legal Take to find out if the victim may have a claim for substantial compensation. 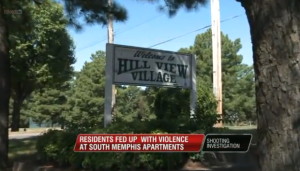 Memphis Police are investigating an “attempted robbery and shooting in the Hillview Apartments,” which occurred Sunday, May 1, 2016 per the report of WMC News 5. Two people were apparently sitting inside a vehicle, at the Hillview Village Apartments, when they were approached by an armed gunman demanding their property. WMC News 5 reports, “When one of the victims said he didn’t have anything, the suspect shot him multiple times.” That victim was transported to Regional Medical Center with critical injuries, per WMC News reports. Police have not yet identified the suspect, presumably leaving residents once again concerned for their safety. Media reports indicate prior shootings occurred on the property in October 2015, September 2014 and June 2014. Apartment residents and guests have a right to feel safe and secure within the community. Given reports of prior area crime, The Murray Law Firm questions the level of security provided at the apartment complex and whether this horrific assault may have been prevented. How did the gunman gain entry to the property? What security measures, such as gated entry, fencing, security patrols, and surveillance cameras, were in place at the time of the shooting? Were any additional security precautions implemented by the property owner, following prior shooting reports, to deter crime and protect residents? Generally, property owners are required to protect all residents legally on the premises from any foreseeable harm. Should the facts of this matter reveal that the complex owner or management company failed to provide adequate security to protect those on its premises, the victim may seek justice and elect to pursue a legal claim for his injuries.